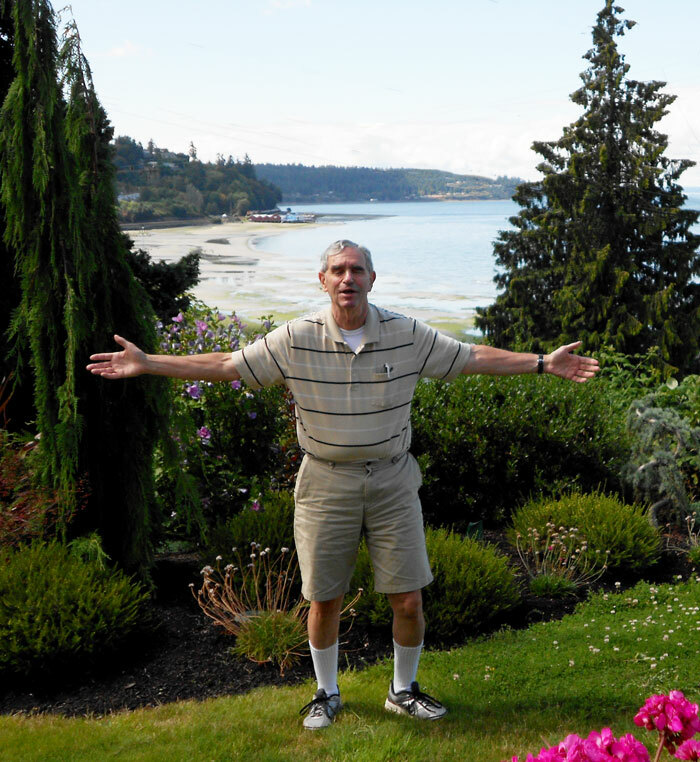 Mike Gold living the dream in the Pacific Northwest. Photo credit: Nancy Gold. By Mike Gold, A retired entrepreneur living the dream in the Pacific Northwest. Over the years it has occurred to me that language can be both unclear as well as clear and also funny. For example when we say: “I’m having an old friend for dinner,” does that mean that the friend needs to cancel the dinner appointment for fear of being eaten? Or does the expression have nothing to do with the actual dinner – it is simply one person, unrelated to the expected dinner guest, conveying information about the upcoming dinner to another person? This is an example of a double entendre. The origin of the expression is supposedly French. However, the actual expression in French is double entente (or double meaning) which over time became double sens. While Americans love double entendre (and many comedians specialize in these and other types of funny language), it does show how sophisticated language can be. (As another example, sophisticated is actually from the Greek sophistis (a wise man, master, teacher). And last: “Meeting on open meetings is closed” – this from my favorite bureaucracy: The Department of Redundancy Department. Then we have expressions that simply do not translate from one language or dialect to another. You often hear that England and the United States are two countries divided by a common language. Then we have misunderstandings as we go from one language to another: From the German: “Backpfeifengesicht” which means someone in need of being hit in the face. By the time you pronounce the word, your adversary has long departed the area near you. German has a history of combining many short words into one long one: Numbers is one example: The number 7254 is in German: siebentausendzweihundertvierundfünfzig. Or how about this one, describing a triple hemispherical combustion chamber of an automobile engine: Dreifachhalbkugelverbrennungskammern. You walk into your local auto repair shop and say: Herr Schmidt would you please take a look at my Dreifachhalbkugelverbrennungskammern. By the time you’ve finished your question, Herr Schmidt has long ago left for lunch. I guess when I think of all these ways to get oneself into trouble, the next time I get pulled over for speeding I’ll grin and simply say if and when he frisks me, "You missed a spot..." After all, it’s probably late at night and I may as well enjoy the county’s hospitality for the evening.